The worst problem in any home is a plumbing problem. Plumbing is one of those issues that you need to address straight away. Otherwise, it can escalate out of control. And, before you know it, you are knee-deep in water or raw sewage. Urghhhh! As you can see, you need to deal with plumbing issues promptly, but how do you deal with them? It isn’t as easy as leaving it to the professionals as plumbers demand a hefty fee. If you are struggling for options, you will find plenty in the list below. Your first step is to hire a plumbing repair expert. With their expertise, they will fix the problem before it gets out of hand. However, before you pick up the phone, you need to consider a couple of factors. Firstly, do you have the money? Plumbers charge up to $100 an hour just for a call out charge, and that is before they make any repairs. Also, you have to consider whether they are good at their job. You don’t want to hire someone for them to con you out of your cash. Look at their track record beforehand and ask people you trust for recommendations. The next option is to put the phone down and go and get your toolbox. That’s right – you are going to fix it alone! This is the moment you have been waiting for, so don’t let the occasion get to you. To start with, locate the problem. Once you know what it is, you can fix it much easier. Then, plumb the depths of your brain to see if you have any relevant knowledge or experience. You do? Great! If you don’t, there is always the Internet. You will find manual after manual that guides you through the process. Finally, get to work and don’t miss a step. A piece of advice beforehand: only fix the small problems. A leaky faucet or pipe is okay, but a boiler is dangerous. If you’re lucky, you will know someone that has experience in plumbing. You probably know this already, but they are a Godsend. With their knowledge, they can fix your plumbing problems in no time. And, because they are family, they will only charge you a ‘mate’s rate.’ Quite simply, a friend with knowledge of plumbing is a mixture of the two tips above. The only problem is finding out who can help and who is useless! Anyone with trade experience will be able to help because they will have a working knowledge of how stuff works. For that reason, don’t just focus on plumbers because they are few and far between. You never know until you ask, but your kitchen-fitter friend may have a few ideas. Remember – you don’t get if you don’t ask. There aren’t many options with regards to plumbing. Due to the complexity of the work, you either find someone who can help or do it alone. Regardless of your choice, do it quickly or your home will suffer. grewat writing, have a nice evening! major league baseball recently posted..How to excel as a pro skier? It sounds like a great plumbing information!I am truly hoping that these tips will work for me and really appreciate your suggestions.thanks for sharing informative article with us. Thanks for sharing such beautiful information with us. I hope u will share some more information about plumbing ploblem. Flavors of World recently posted..Why I Love Playing Cricket Online? Hey, I’ve no doubts you’ve done some research while writing on Plumbing Problems. I would expect more of this in your next write-ups, so I could get help from your information to create some content for our followers and the website Fisher Reel. Hey, I read the post entirely and couldn’t help thanking you for sharing with us this piece of informative resource. Could you please explain the Plumbing Problems a little more, so I can enhance the knowledgebase of our community website. Of course, you can do it in another post! Any effort appreciated! I think all we need to a higher professional plumber to fix the plumbing issues at home or commercial site. The only expert can fix the problem rightly. Thanks for the amazing blog post. Very informative content. Loved reading it. I’ll help me assembling my kayak for next fishing event. Thanks for sharing nice one article. Enlisting inadequate experts can at long last cost you on a very basic level more completed the entire arrangement. Truly, it genuine that by enlisting an expert handyman is extremely critical in view of the guarantee security. For instance; If anybody purchases an electronic gadget from a rumored organization then these organizations give some basic direction and one of them is to introduce their item by an expert handyman generally the guarantee time frame will be invalid. Such a perfect work of art of guidance. Thank for sharing them. Most imperative things you have to do is guarantee that you simply oversee approved jacks of all trades. Enrolling insufficient pros can finally cost you fundamentally more finished the whole deal. You ought to find a specialist jack of all trades they can comprehend your an extensive variety of channels issue. I have scrutinized your post. An obligation of appreciation is all together for such a charming post,it is greatly instructive. Various people use assorted sorts of nozzles in the bathroom and kitchen. Streaming apparatuses are a champion among the most generally perceived issues that happen a significant part of the time. Installations that are of the weight form use washers and go into disrepair after some time. The water starts spilling when the washer strings crush and you can settle this issue easily by achieving master jacks of all trades previously it changes into a more difficult issue. The significance of home pipes winds up amplified when you purchase another home. There are numerous individuals who stand up to different pipes issues not long after they purchase their fantasy home. That is totally right. I in like manner complete a comparable thing, If I were in your place. You have conferred a great thing to us. I esteem your effort. It’s dependably a smart thought to approach a companion for pipes help in the event that they’re a handyman by profession. You will get a decent rate along these lines, so work around their timetable. Marvelous suggestion! Jacks of all trades do blame an extraordinary arrangement and for web and youtube, it has ended up being essentially less requesting to find the DIY strategies cleared up in a straightforward and visual way to deal with satisfactorily empower you to do the repair yourself. Such an ideal show-stopper of urging. Thank for sharing them. Most fundamental things you need to do is ensure that you just direct endorsed handymen. Enlisting inadequate experts can at long last cost you on a very basic level more completed the entire arrangement. You should discover a master handyman they can fathom your a broad assortment of channels issue. Yes, it true that by hiring a professional plumber is really important because of the warranty safety. For example; If anyone buys an electronic device from a reputed company then these companies give some essential instruction and one of them is to install their product by a professional plumber otherwise the warranty period will be invalid. That’s a good and great bundle of advice. Thanks, Dear. For this useful article. It’s really important to hire best plumber or handyman whatever you called to make sure the any accurate plumbing instalatiion. Such a master piece of advice. Thank for sharing them. Most important things you need to do is ensure that you just manage authorized handymen. Enlisting inadequate specialists can at last cost you significantly more over the long haul. You should locate an expert handyman they can understand your a wide range of pipes issue. It’s always a good idea to ask a friend for plumbing help if they’re a plumber by trade. You’re going to get a good rate this way, so be willing to work around their schedule. When it comes to home improvement, most property owners tackle one thing at a time and often on different days due to time constraints. Typically, hiring plumbers allows your plumbing to be repaired in one visit, on one day. Instead of taking up your weekend and evening time working on your plumbing, you can spend time doing what is important to you. Great piece of advice! Plumbers do charge a lot and with internet and youtube, it has become much easier to find the DIY methods explained in a very easy and visual way to effectively help you do the repair yourself. Most important things you want to do is make sure that you only deal with licensed plumbers. Hiring unqualified workers can ultimately cost you a lot more in the long run. You should find a professional plumber they can solve your all kinds of plumbing issue. That is absolutely correct. I also do the same thing, If I were in your place. You have shared a great thing with us. I appreciate your effort. Compare their quote with the competition’s to see if they are within a reasonable range. If they are within range it is a good sign. Hiring a professional plumber also makes great sense because a lot of the more reputable companies will actually offer you a safety guarantee during any type of repairs within your home. Most of us are in the habit of squeezing out every last day of service out of such equipment. Yet, replacing any unit more than 12-15 years old probably can pay for itself within a few years through reduced energy or water usage. I have read your post. Thanks for such a nice post,it is really informational. Many people use different types of faucets in the bathroom and kitchen. Dripping faucets are one of the most common problems that occur frequently. Faucets that are of the compression type use washers and deteriorate over time. The water starts leaking when the washer threads wear out and you can fix this problem easily by contacting specialist plumbers before it turns into a bigger problem. The average plumber will fix a leaky toilet without any problems, but they may not be qualified to work on commercial plumbing systems. You need to hire someone who knows the regulations for commercial plumbing and can keep your building within code standards. A professional plumber will look at each problem separately, as well as the entire plumbing system as a whole. Clogged drains may be caused by sagging pipes in the basement and pipes may be so old that they are falling apart. 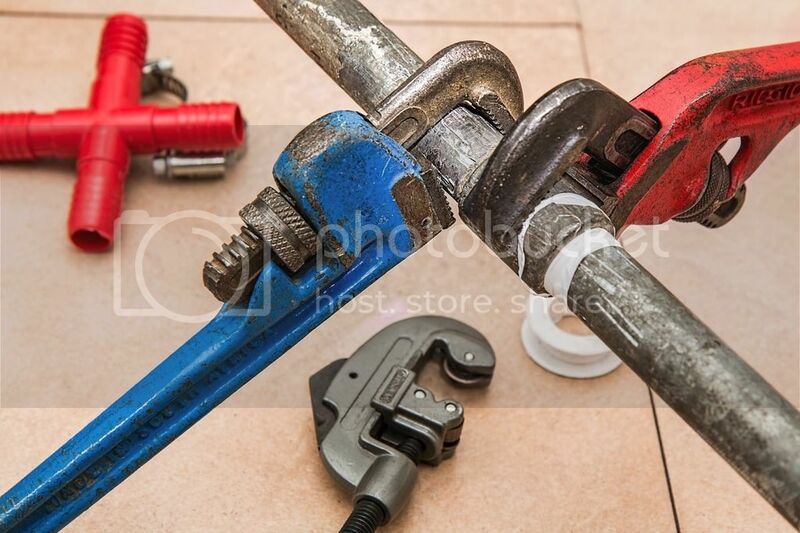 plumber Capalaba recently posted..Hello world! A house needs a good plumbing for very important purposes. It should be carefully planned and thought of before doing so. Regular maintenance ensures that the plumbers can detect issues sooner and extend the lifespan of your plumbing system. There are many different plumbing problems that can spring up in the average home. Some plumbing problems are more common that others. Some of the most common plumbing problems are also quite easy to fix. You may also consider replacing your older faucets with those that feature washerless valve cartridges instead of rubber washers. Commercial plumbers are well versed in all types of plumbing installation services. The plumbers know how to install a wide range of fixtures including faucets, sinks, toilets, shower heads, garbage disposals, and water meters. A leaking faucet isn’t just annoying; the moisture it releases puts wear on sink fixtures and can encourage the growth of mold and mildew. Stay on top of problems to keep the household clean and dry. Plumbing problems are never fun to deal with. There was one time that I tried to fix it alone, and I will never make that mistake again. From now on, hiring an expert is the way to go. Although, you are right, the plumber you hire needs to be someone you can trust, for sure. Almost every homeowner or renter has a few essential tools on hand to cope with minor plumbing emergencies. Many times, a clogged toilet or slow drain may need a little elbow grease and a plunger to work as intended. If you’re handy around the house, you can generally tackle a small repair such as changing out a worn washer or replacing a drain cover.